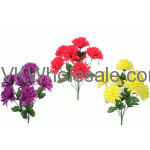 Minimum quantity for "Spring Mum Bush Artificial Flower 10164" is 24. 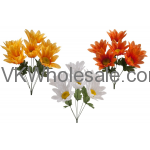 Minimum quantity for "Sunflower Bush Artificial Flower 15096" is 24. 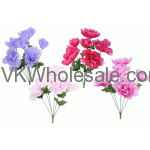 Minimum quantity for "Spring Peony Bush Artificial Flower 15018" is 24. 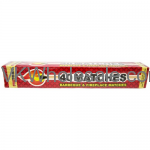 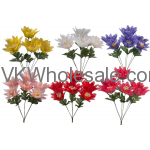 Minimum quantity for "Spring Dahlia Bush Artificial Flower 15055" is 24. 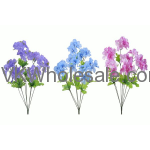 Minimum quantity for "Spring Orchid Bush Artificial Flower 15073" is 24. 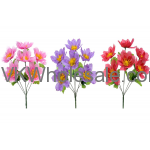 Minimum quantity for "Spring Cosmos Bush Artificial Flower 15090" is 24. 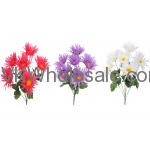 Minimum quantity for "Spider Daisy Bush Artificial Flower 15022" is 24. 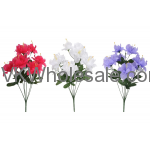 Minimum quantity for "Morning Glory Bush Artificial Flower 15095" is 24. 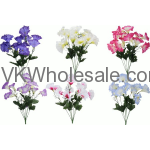 Minimum quantity for "Hydrangea Bush Artificial Flower 15029" is 24. 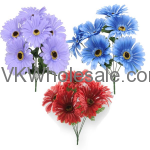 Minimum quantity for "Gerber Daisy Bush Artificial Flower 10608" is 24. 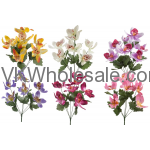 Minimum quantity for "Azalea Bush Artificial Flower 15033" is 24.